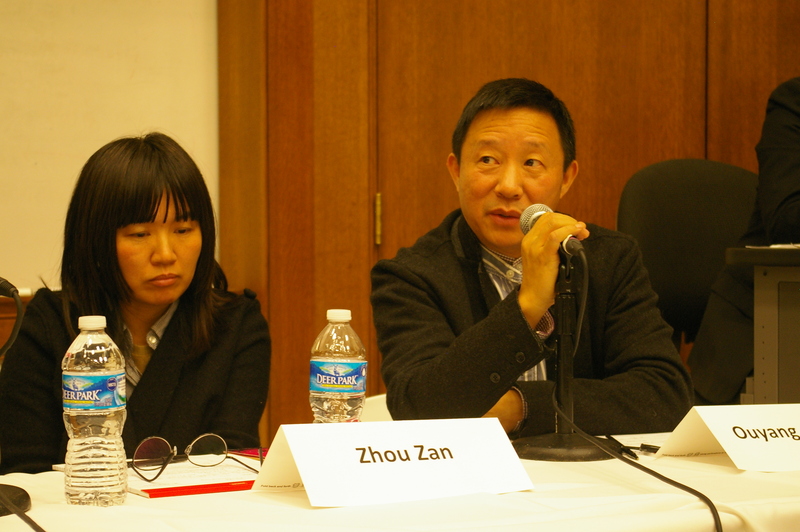 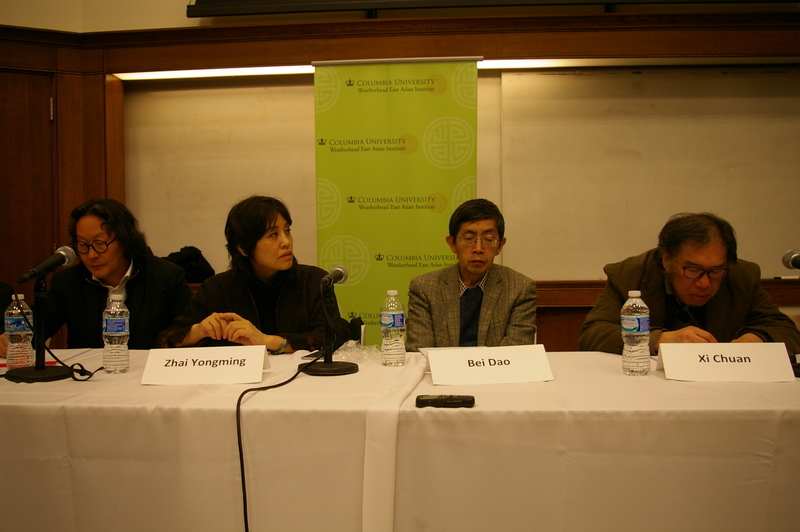 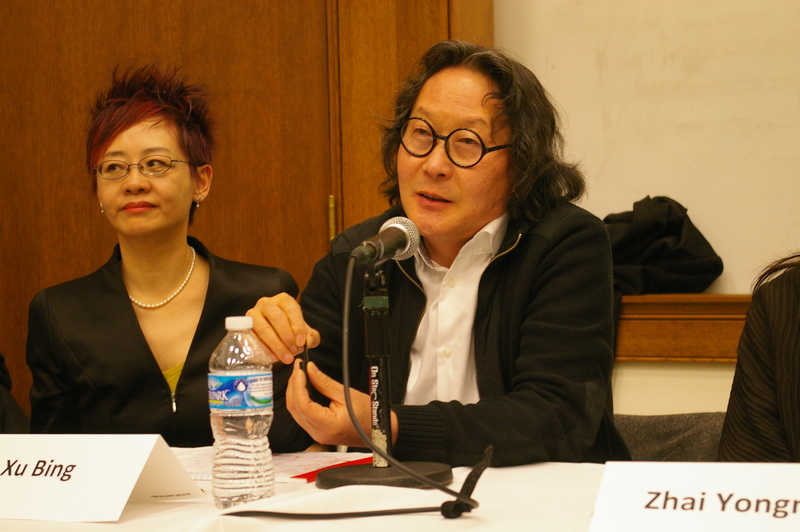 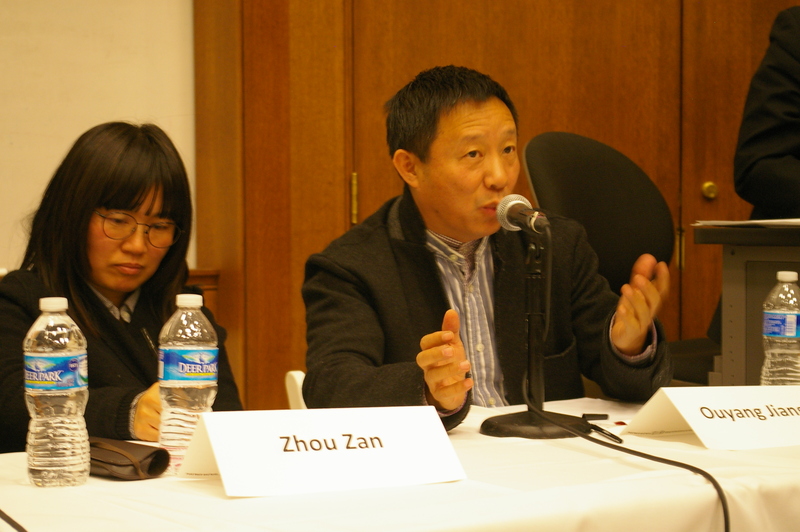 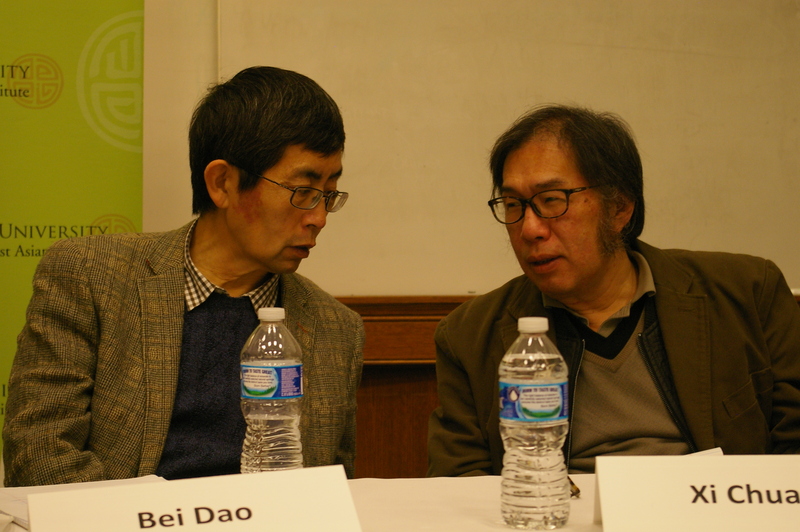 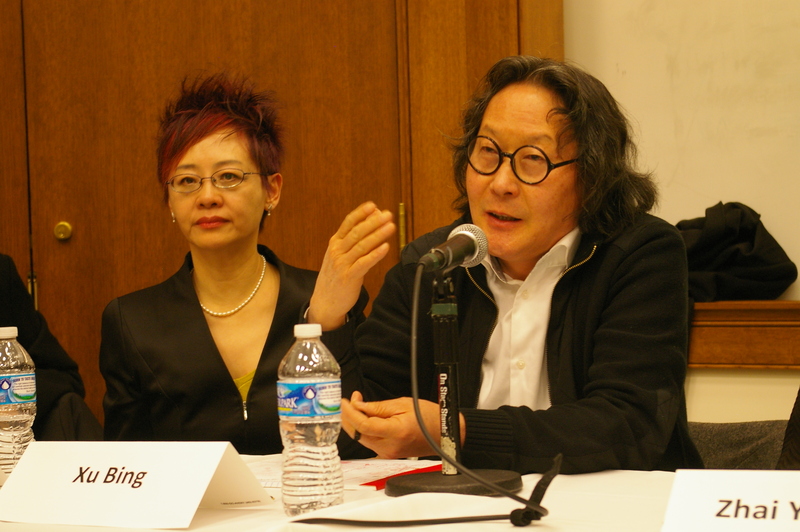 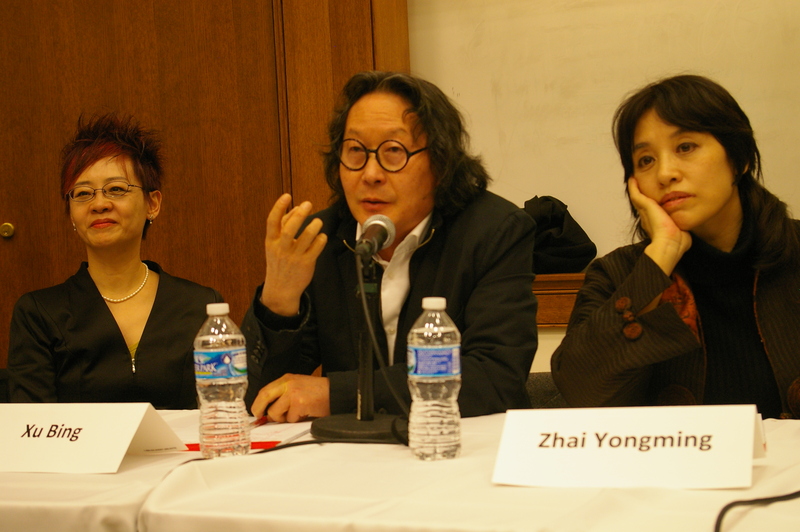 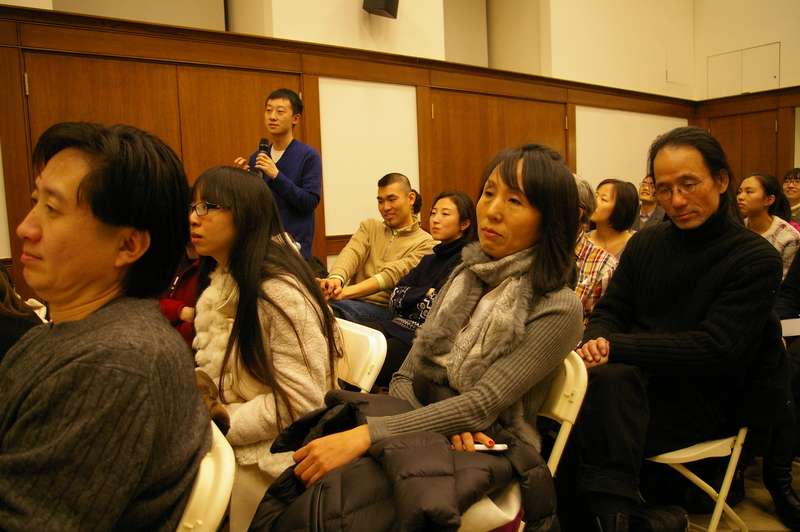 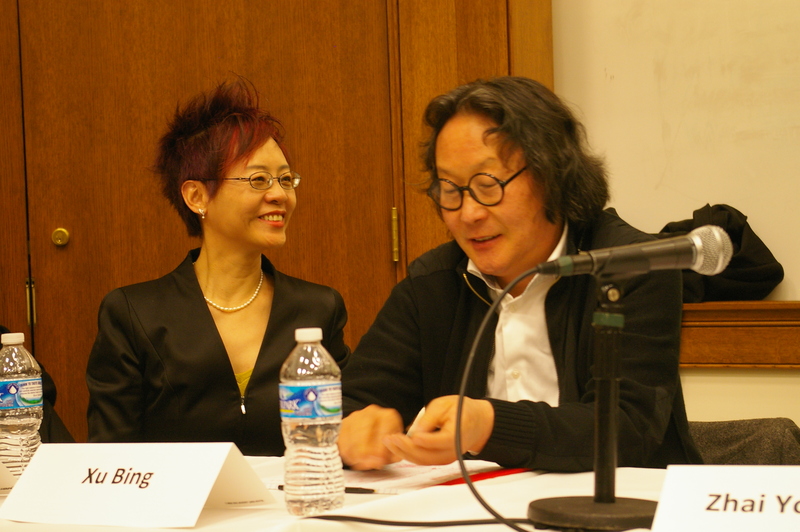 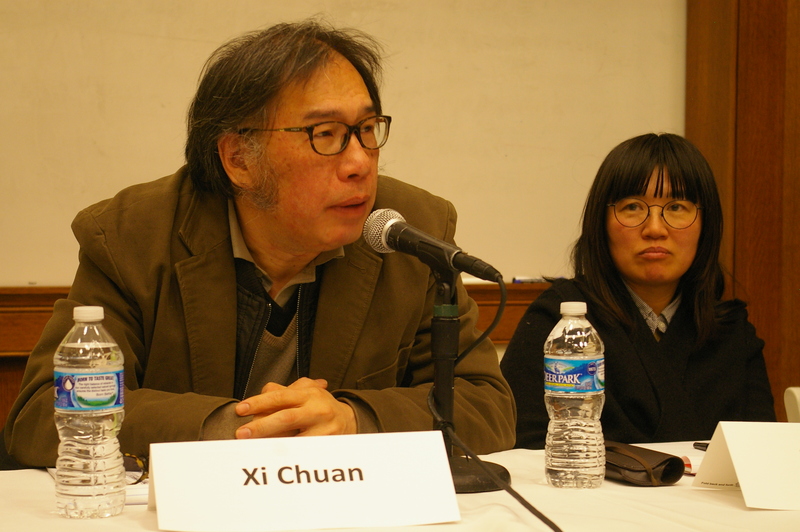 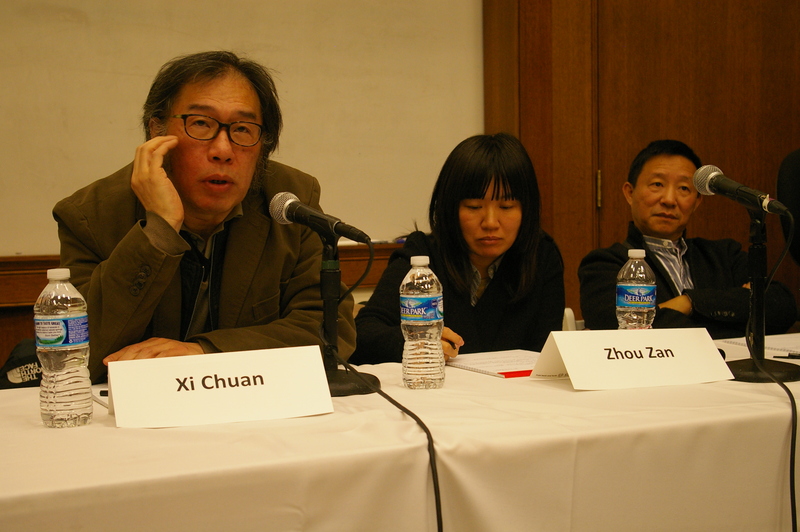 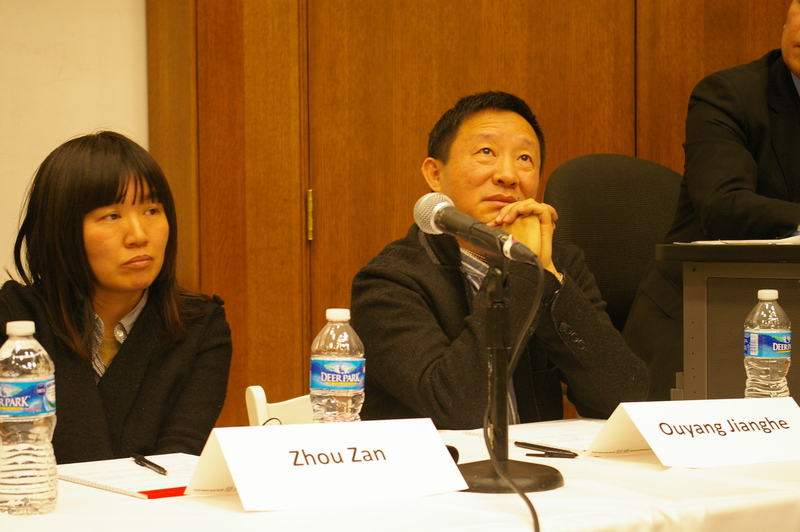 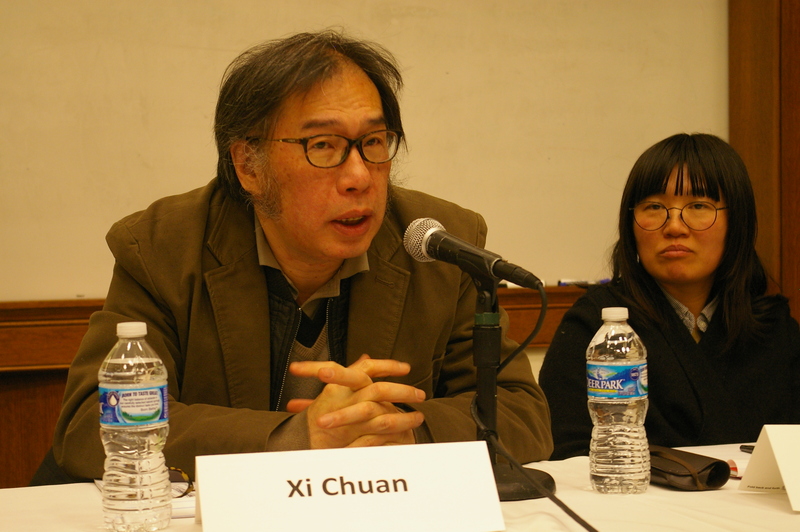 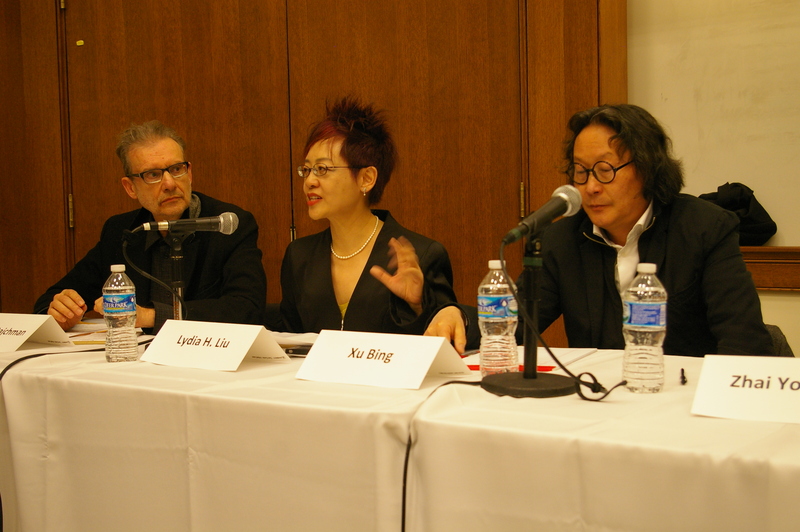 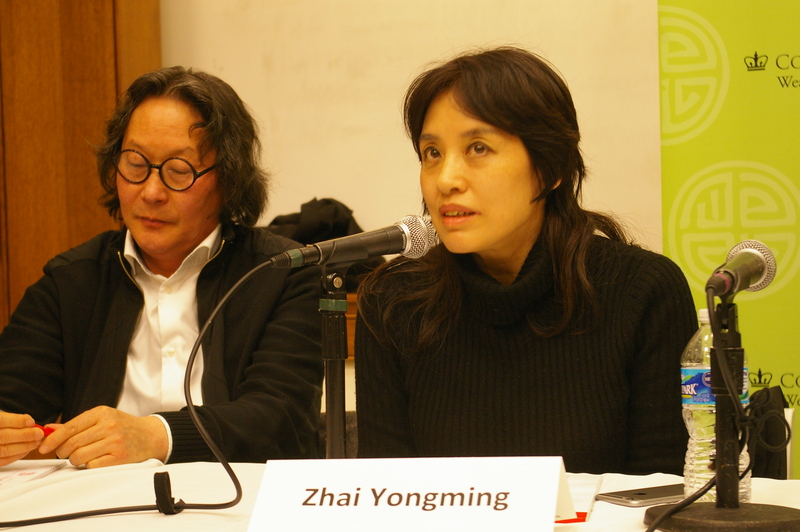 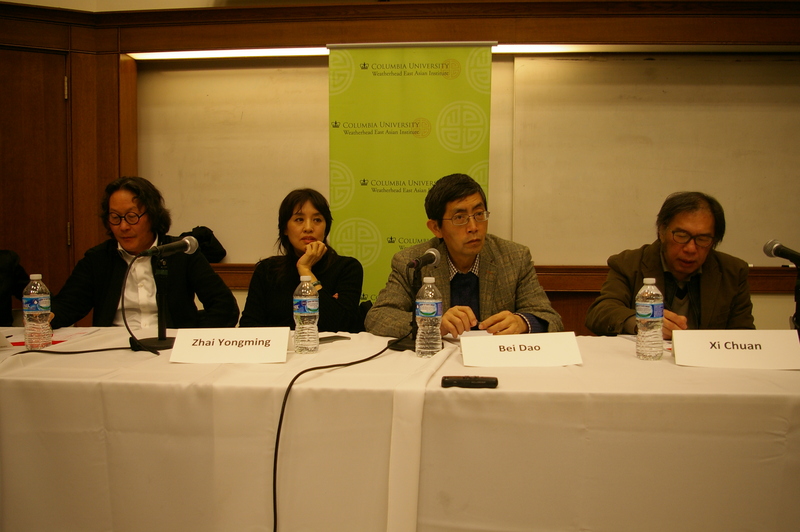 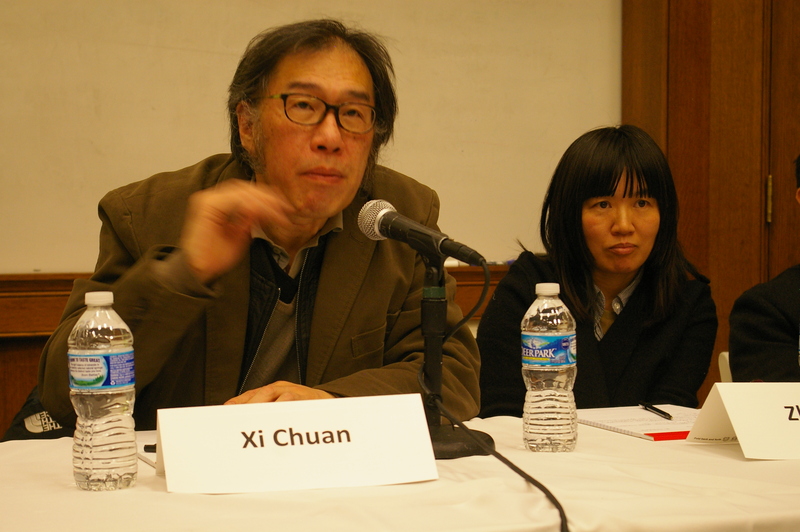 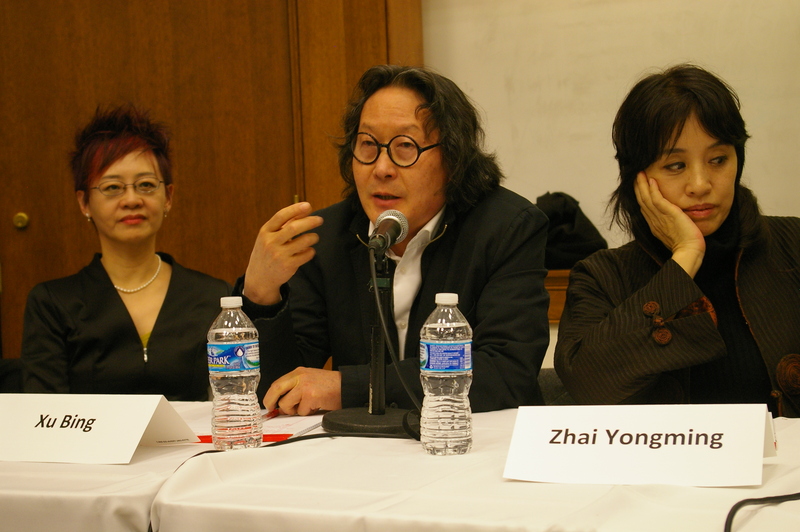 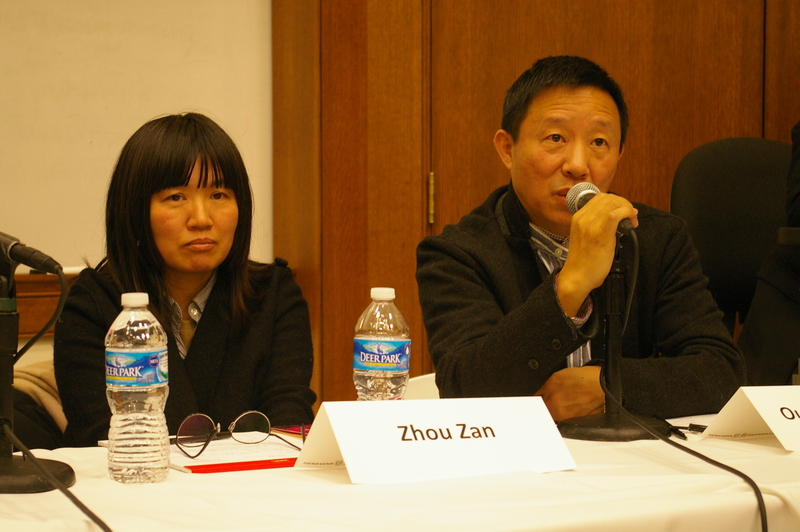 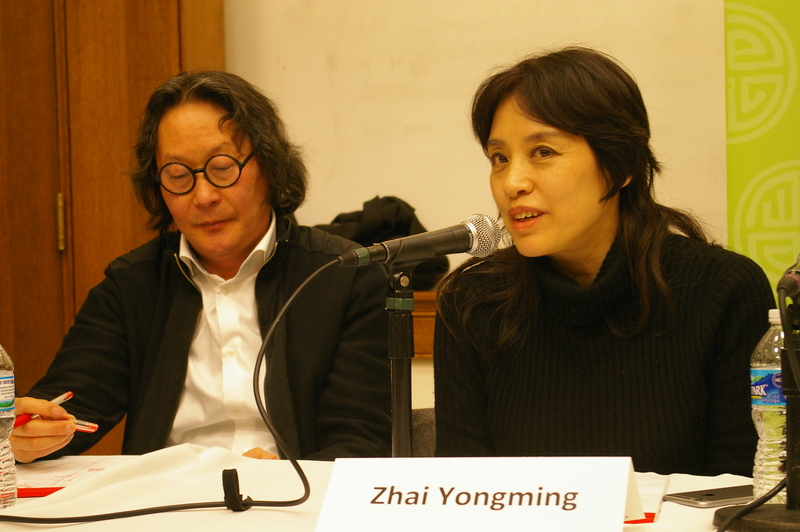 Photographs and audio are now available from the February 24, 2015 event “Sound and Image: Chinese Poets in Conversation with Artist Xu Bing.” The standing-room only event featured a stimulating discussion between internationally acclaimed artist Xu Bing and five renowned Chinese poets: Bei Dao, Ouyang Jianghe, Xi Chuan, Zhai Yongming, and Zhou Zan. 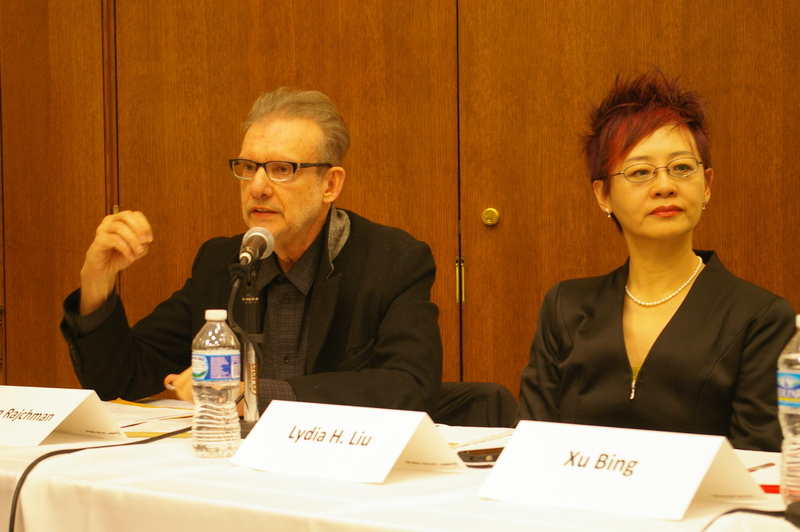 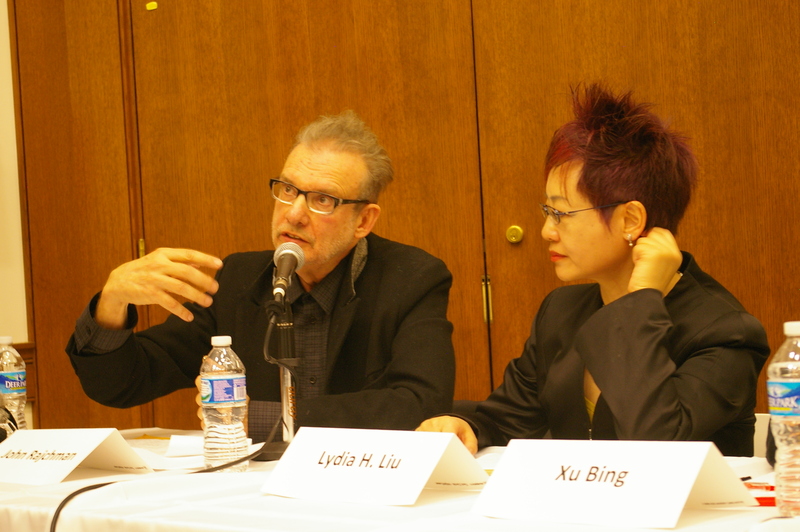 Their conversation was moderated by Lydia H. Liu, Wun Tsun Tam Professor in the Humanities at Columbia University, and John Rajchman, Adjunct Professor of Art History at Columbia University. 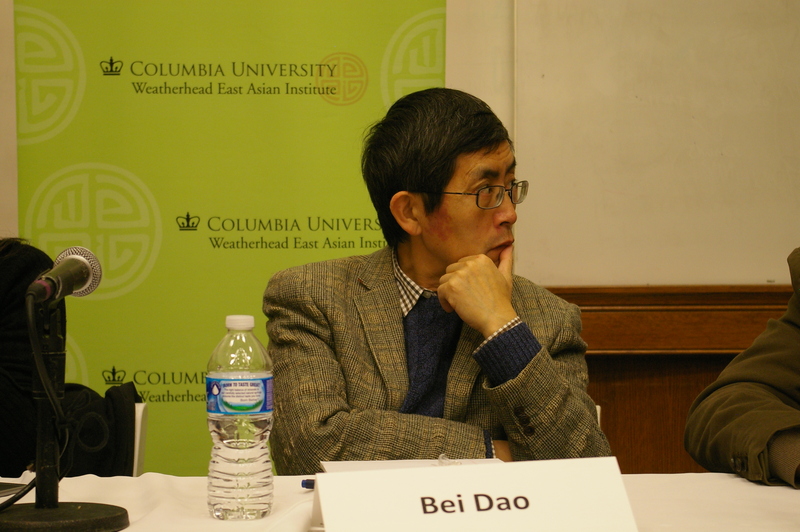 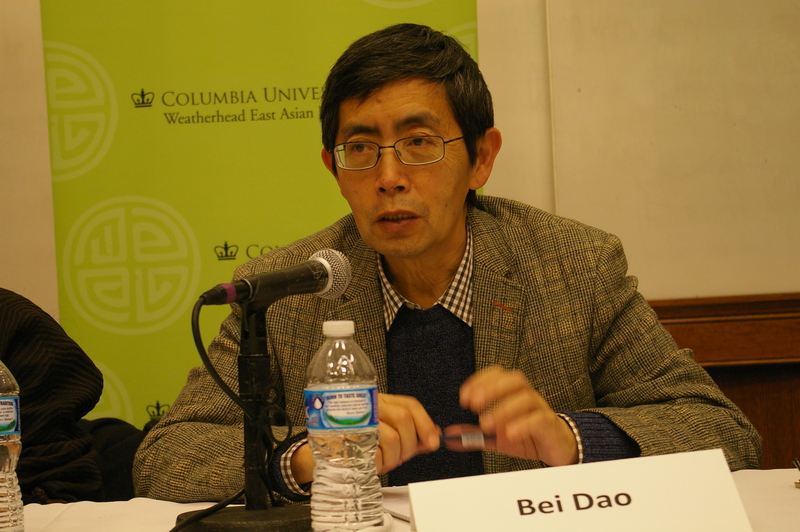 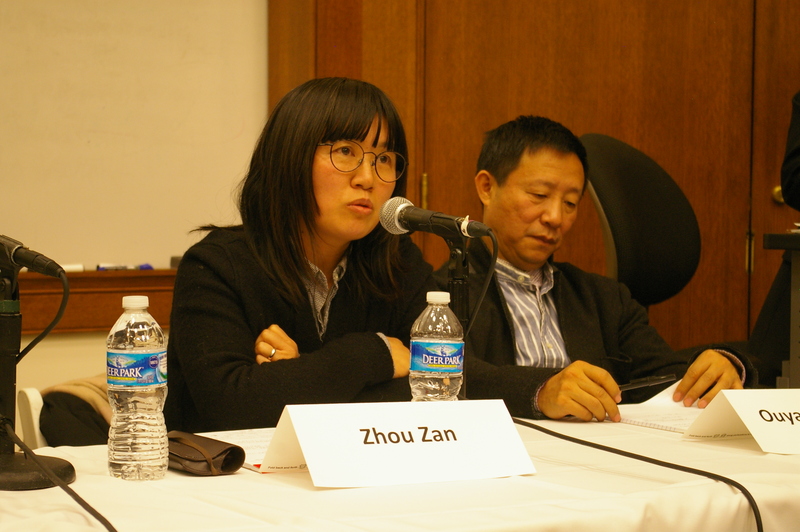 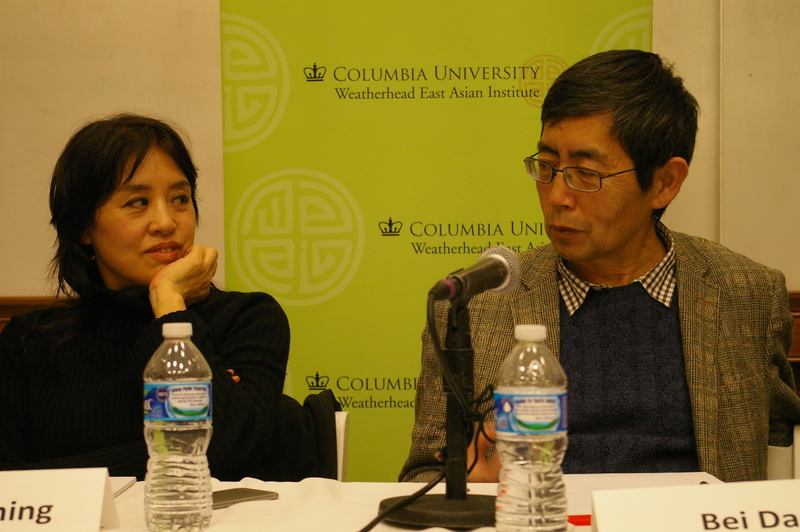 Eugenia Lean, Director of the Weatherhead East Asian Institute and Associate Professor of Chinese History at Columbia University, introduced the discussion. 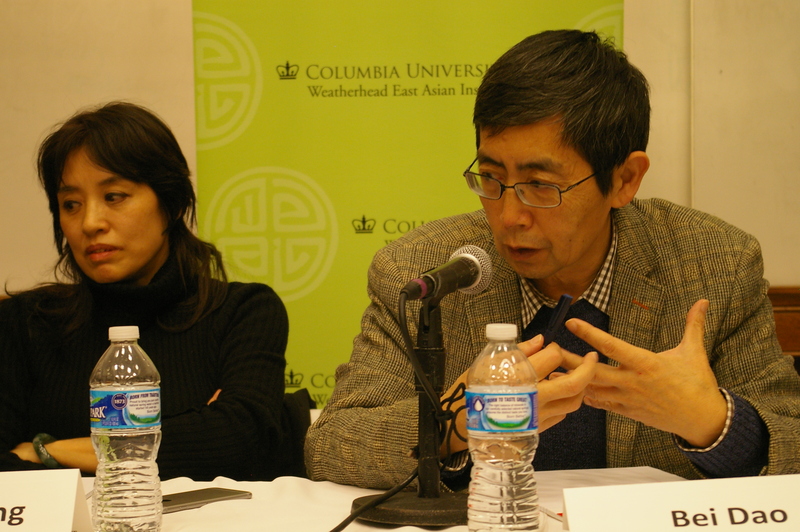 The event was co-sponsored by the Weatherhead East Asian Institute, the Confucius Institute at Columbia University, Xu Bing Studio, the C.V. Starr East Asian Library, the Department of Art History and Archaeology, the Department of East Asian Languages and Cultures, the Institute for Comparative Literature and Society, Columbia Global Centers East Asia, and Literary Translation at Columbia (LTAC) of the School of the Arts. 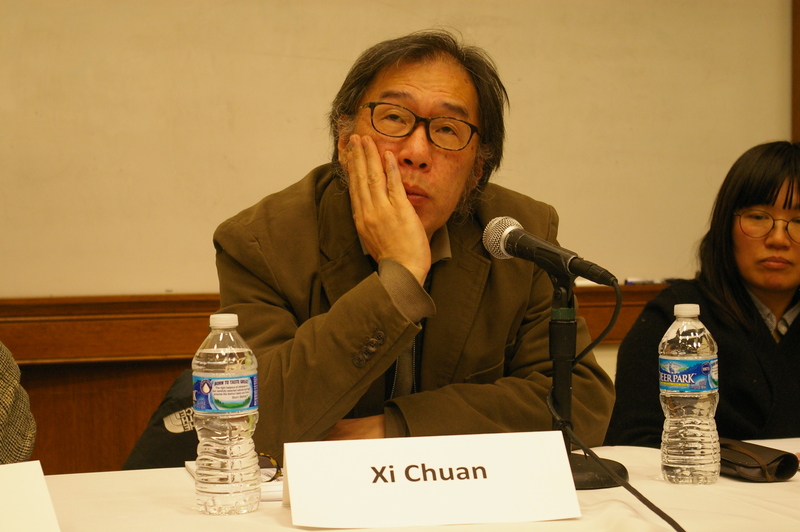 On Wednesday, February 25, 2015, the five Chinese poets–along with five eminent American poets– read poetry in the Cathedral of St. John the Divine, where Xu Bing’s soaring “Phoenix” sculpture is on display. 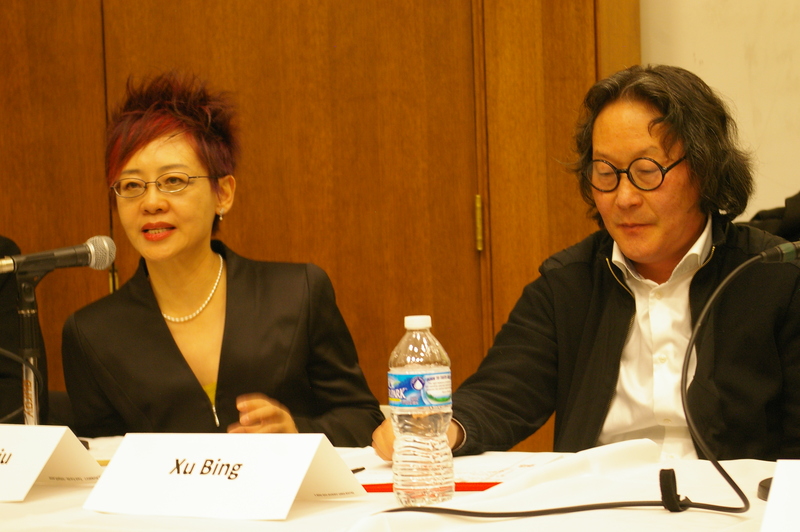 For a discussion with Columbia University professor Lydia H. Liu about Xu Bing’s “Phoenix,” please click here.